To find out about how you can invest and to receive a copy of the Product Disclosure Statement, please contact us or call Newmark Investor Relations on 03 9820 3344. The Newmark Hardware Trust is considered to be a Significant Investor Visa (SIV) compliant investment, please contact us for more information. 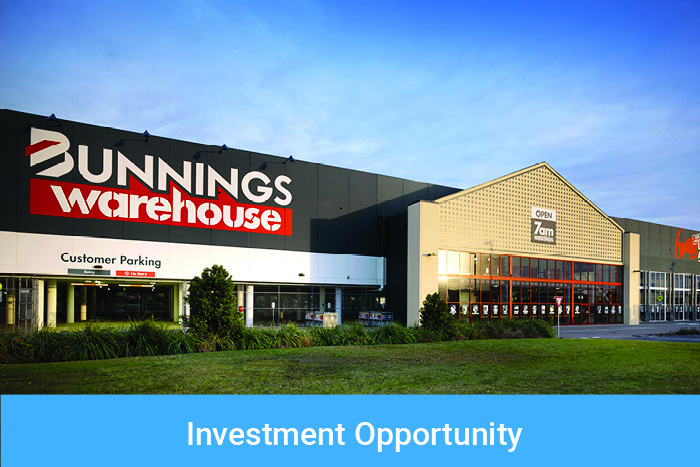 Purpose built for leading Australian retailer Bunnings, the Trust’s Launceston and Maroochydore Centres are fully leased. Serving large customer catchments, the Centre’s are strategically located adjacent to central business districts. With the latest full spec anchor Bunnings stores, the properties have strong support from peripheral retailers. The Launceston Centre is on a high exposure corner with an on grade car park. Maroochydore is the economic hub of the Sunshine Coast and our Centre is adjacent to a site earmarked for Maroochydore’s city centre expansion. Lake Haven is the latest addition to the NHT which was completed in April 2019, the site is located in the suburb of Charmhaven on the NSW Central Coast approximately 53km from Newcastle and 92km from Sydney. The store is located on a prominent corner and replaces the existing Lake Haven Bunnings Warehouse. The meeting of Unitholders held on Friday 15 February 2019 at The Hotel Como Melbourne, South Yarra voted to restructure the Newmark Hardware Property Trust No. 1. Unitholders approved the restructure proposal. 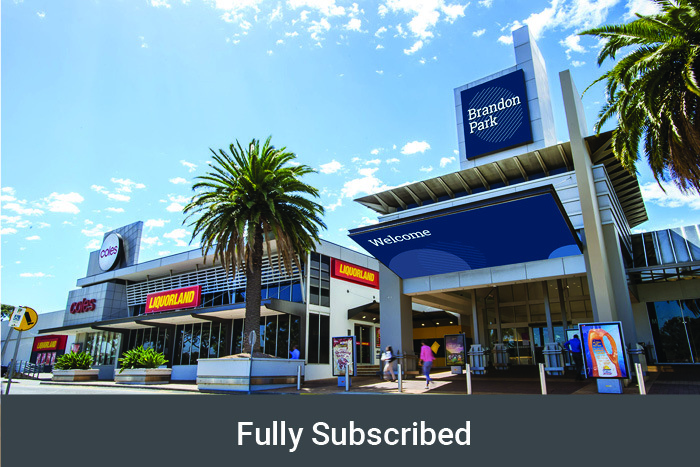 Brandon Park Shopping Centre is a sub-regional centre located in Melbourne’s South-East region, enjoying strong patronage and market share catering as a convenience and services based retail centre. The Centre is located in a prominent location on the corner of a major north-south (Springvale) and east-west (Ferntree Gully) arterial roads and only 500m from the Monash Freeway on/off ramps, Brandon Park Shopping Centre is positioned within a major employment hub and within Melbourne’s established south-east region – a corridor experiencing growth across the high density residential, office and retail sectors. The site is zoned Commercial 1 and is designated a “Major Activity Centre” by both Plan Melbourne and the Monash City Council Planning Scheme and by this provides scope for a variety of land uses including retailing, mixed commercial, offices, apartments and community facilities. 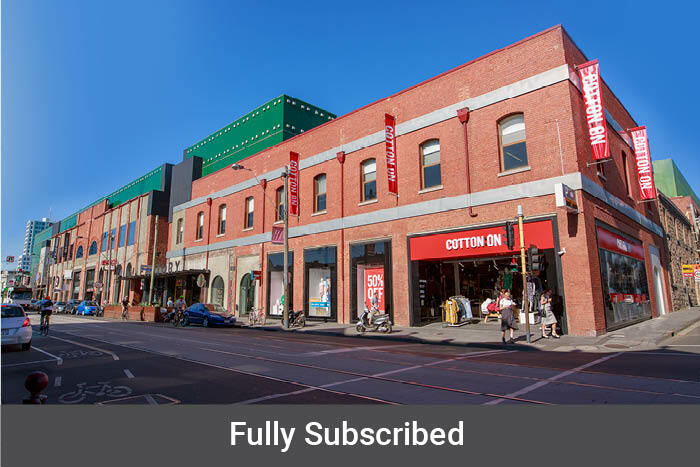 Progress on the mixed-use redevelopment of the iconic Jam Factory in South Yarra has reached a major milestone with the issue of a Planning Permit for the development by Stonnington Council in May 2018. Representing one of the most unique commercial repositioning opportunities in Australia the Jam Factory will become a world-class office, entertainment, dining, retail and cultural district setting a new standard in sophisticated mixed-use development. The master plan includes significant retail and commercial space designed as a collection of individual and distinct office buildings connected by extensive public spaces. Currently, the entertainment-based centre is securely leased to ASX listed Village Group offices and cinema complex and has retail, dining and multi-level parking with 1079 car spaces and a car wash.
As one of only five A-grade office buildings on the premier city fringe boulevard, 417 St Kilda Road enjoys near full occupancy and secure leases. The building’s high-level presentation, underground parking for 472 vehicles and seven ground floor food shops supports its strong performance and broad appeal. Adjacent to Fawkner Park, the nine level tower has a diversified tenant profile and is home to international and national technology companies. 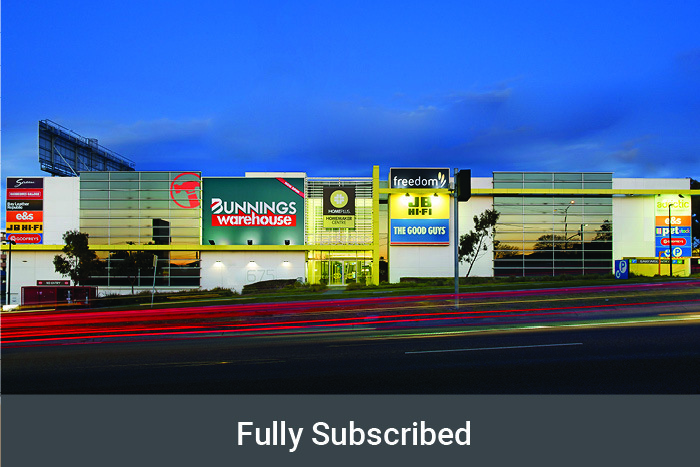 The property offers the unique combination of being Melbourne’s only HomePlus Homemaker Centre with an anchor Bunnings tenant. The strong performing Warrigal Road property is fully leased with significant internal and external upgrades substantially increasing patronage. 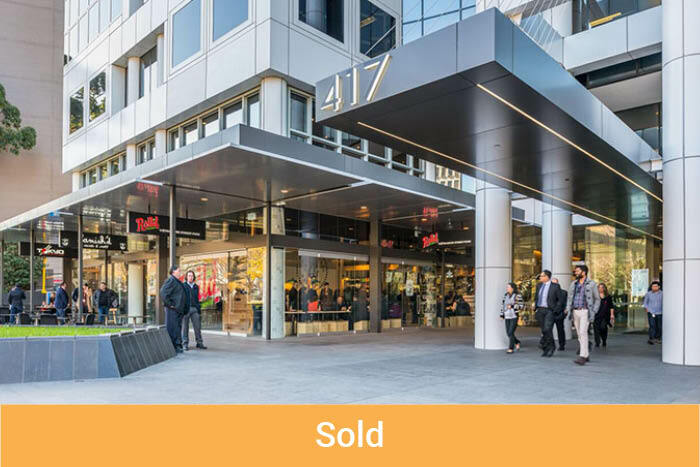 Located in the center of metropolitan Melbourne, the property is 1.4 km to Australia’s biggest shopping centre, Chadstone, and is close to Holmesglen Tafe and Holmesglen Station. It has under cover parking for 480 cars and easy access to major arterial roads and the Monash Freeway. 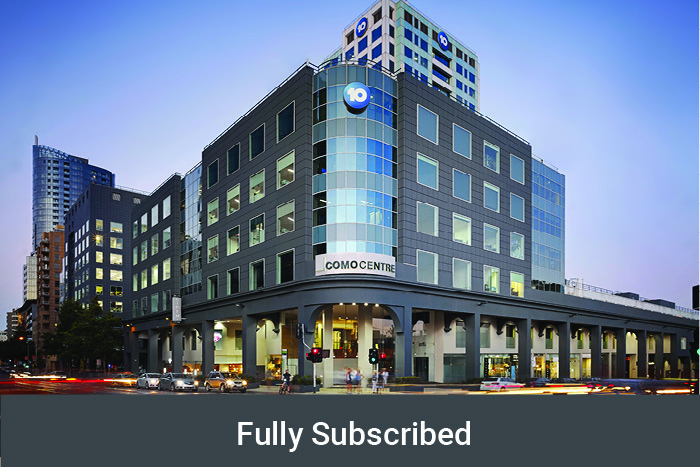 Located on the prime South Yarra corner of Toorak Road and Chapel Street the iconic Como Centre is a mixed-use complex of inter-connected office, retail and hotel buildings. Comprising 62% office, 14% hotel and 12% each for retail and car parking, the Centre is securely leased to leading corporate tenants including Network Ten, Accor Hotels and Omnicon.